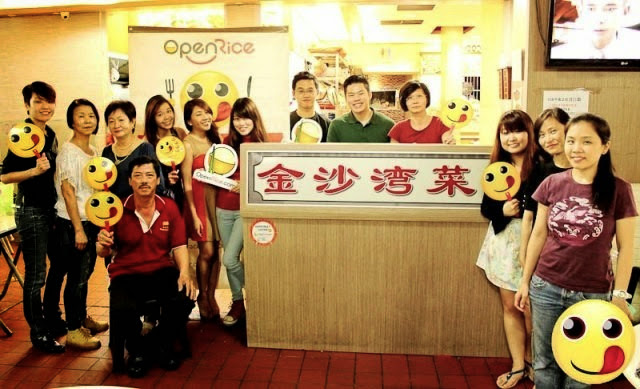 I was very honoured to join OpenRice's food tasting session at Jin Sha Wan 金沙湾 (Kovan) where it was a sumptuous seafood spread for all of us to enjoy. 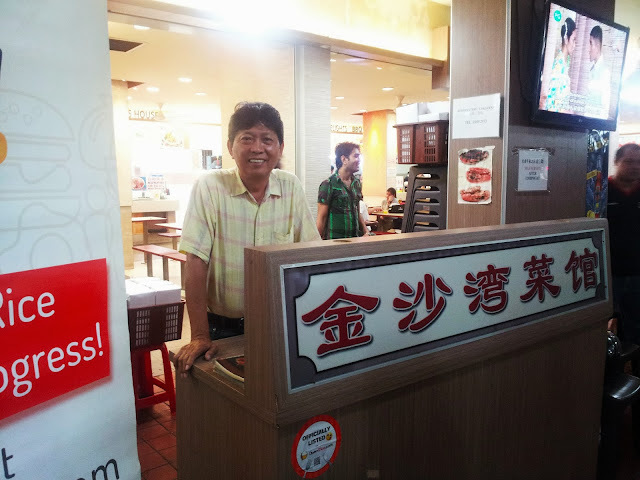 Jin Sha Wan is a subsidiary of Tong Garden Seafood Restaurant at Tampines which has been in the line for 40 years. 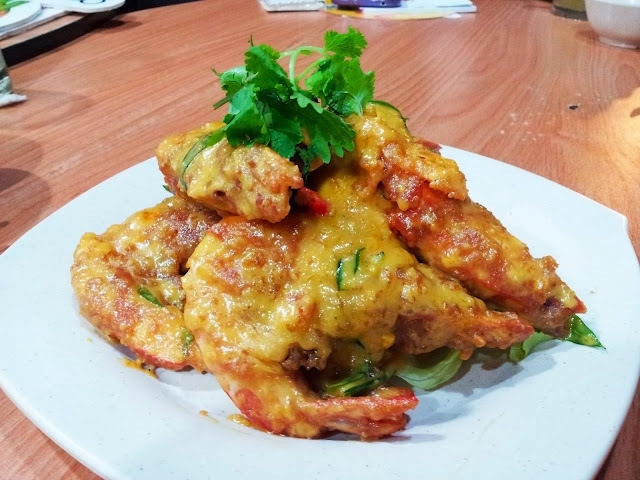 Mr Kovan (a moniker that actually sticks to memory, see above), the boss of Jin Sha Wan, introduced their signature dish – Salted Egg Yolk Crab – which is the reason for their signboard name as salted egg yolk resembles the golden sand on the beach. 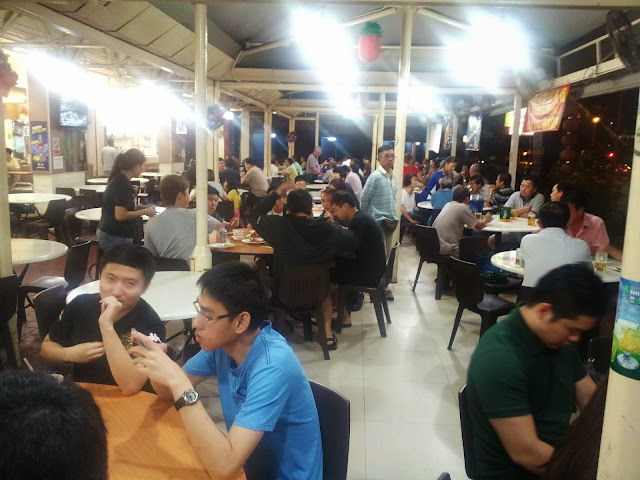 Kovan is a little far - but the prices are promised to be the cheapest in town and the quality of their seafood is not compromised at all! 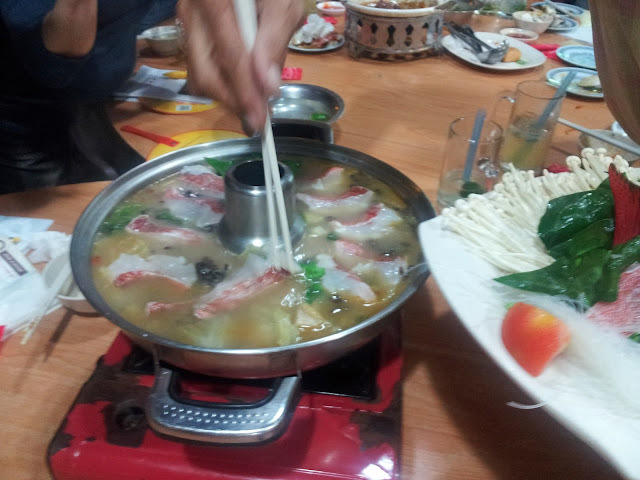 In fact, the crabs and prawns actually have a lot of substance to chew and enjoy, and it is very fresh too. Definitely worth it to make the trip down. 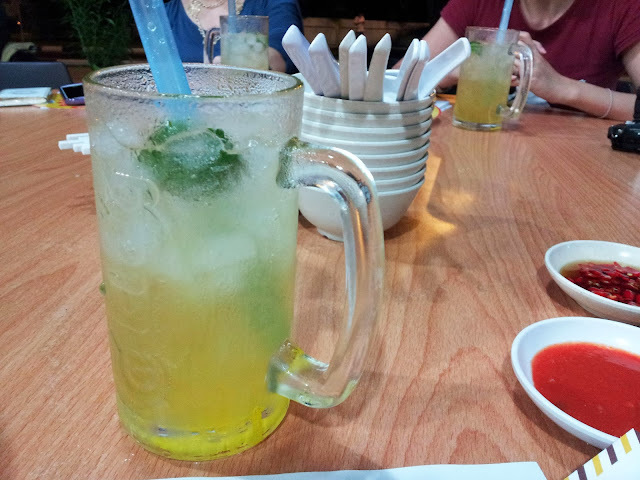 Read on to find out what are the dishes to order. Wondering what food tastings look like? You always serve the camera first... even if you are desperately craving to eat already. 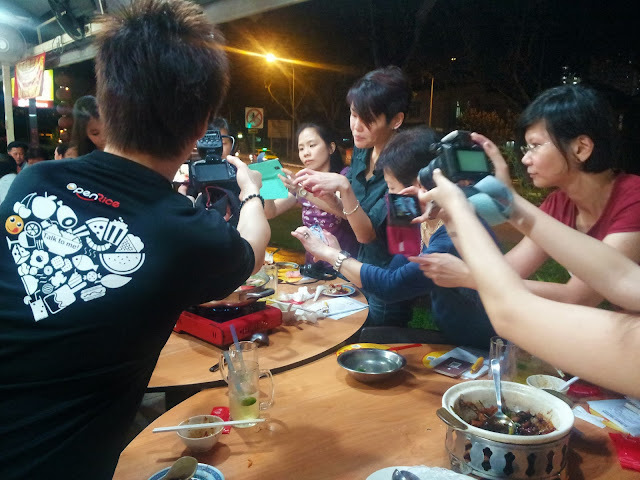 Look at everyone dishing out their cameras to snap a picture of the food! 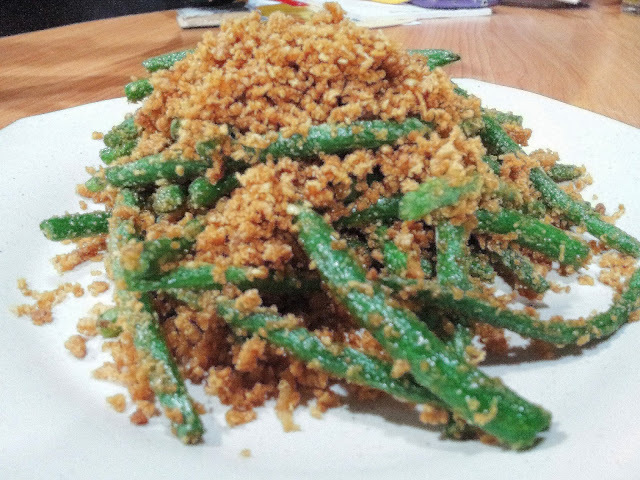 Pleasantly surprised by this vegetable dish - the french beans were really crunchy and juicy (you would never think vegetables could be juicy but this is for real), complemented with fragrant shrimp bits! The chefs insisted on only using younger and quality french beans, hence maintaining a high standard of this dish! Very suitable for a family with young and old. 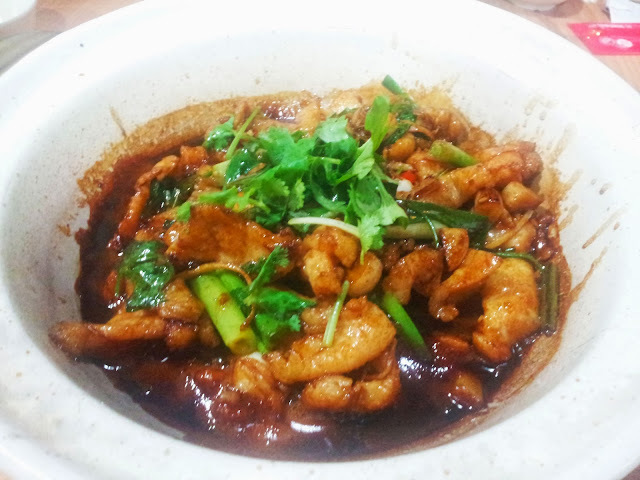 This - another vegetable-based dish but lo and behold - it is more than an ordinary tze char dish. You can't find this anywhere else because it is the innovative creation by the boss himself! There's lotus root slices, carrots, mushrooms, green peas, and a generous serving of macademia nuts. I think it's an okay dish but extra brownie points for the creativity. Oh prawns... my favourite of all the seafood creatures when it's on a platter. 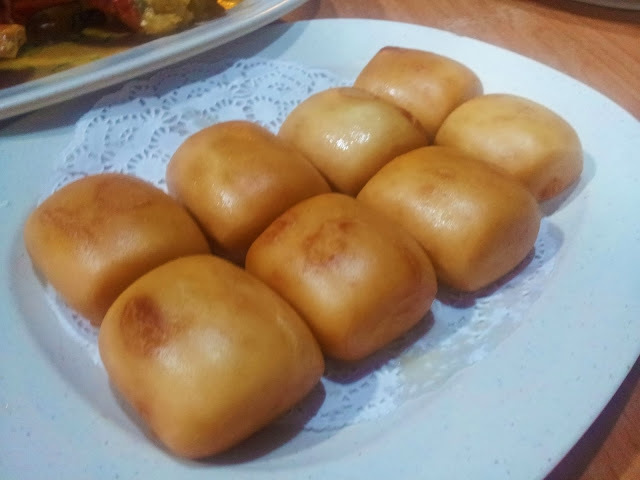 When doused with Jin Sha Wan's signature salted egg yolk goodness, it's a mess to eat but it's so goooood! The prawns are easy to remove from the shell, the prawn flesh doesn't stick and actually has a lot of substance to bite too. Juicy, sweet and freshness bursting from each of the prawn. I'm lazy and wish that they'd peeled the shells for us... but somehow, working for some good prawns make it even better. This is my favourite dish of the night. A clear winner among fellow diners on the table as well. The assam sauce has a strong flavour, very delectable and fragrant. There's a slight spiciness to it. I'm not one who can take spicy stuff but this is within tolerable level. 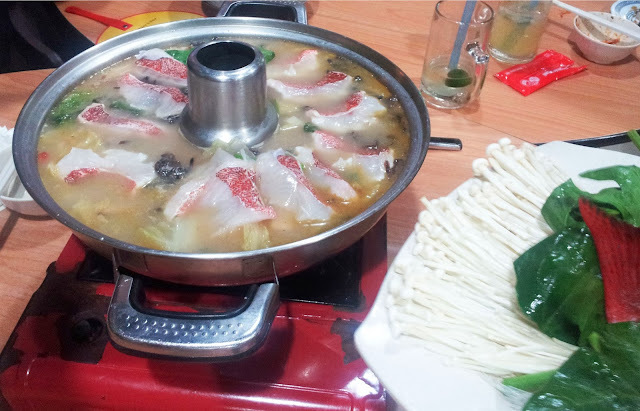 The fish head also has a lot of tender meat to go around. 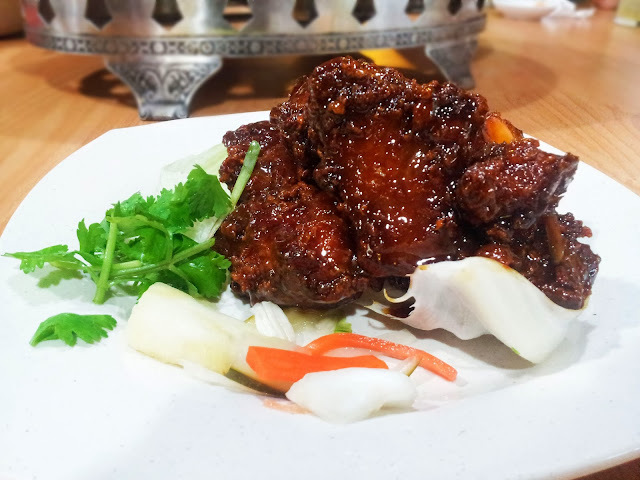 It's also much cheaper and more enjoyable than the usual fish tze char dishes around which are priced at around $50 for the same serving size. Extremely recommended! This one is an okay dish for me, not particularly impressive and the taste is rather one-dimensional... sweet dark sauce. In fact it tastes like chicken rather than pork ribs. Not that I'm complaining because I love chicken more than pork! This one is not as spectacular as the Assam Fish Head. This is surprisingly spicier than what I would say is tolerable level. Beneath the spice, it is actually very yummy and has a wok hei fragrance that can live up to the reputation as one of the better hawker mee goreng standards. 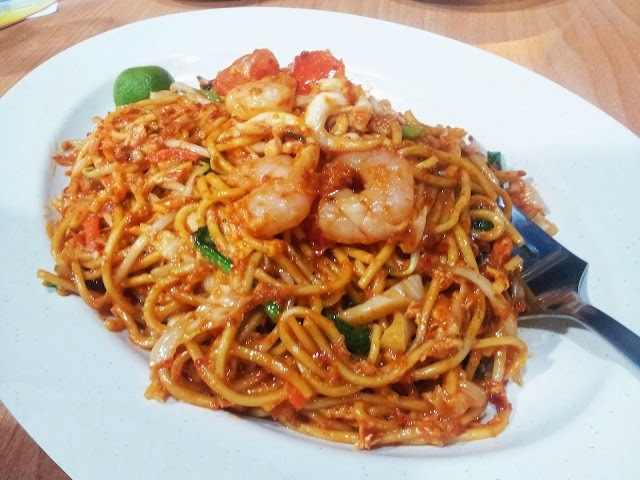 This hokkien mee is unlike the prawn yellow noodles of the Singapore rendition... not all hawker centres have this, the other place in Singapore I can think of is at Malaysia Boleh. 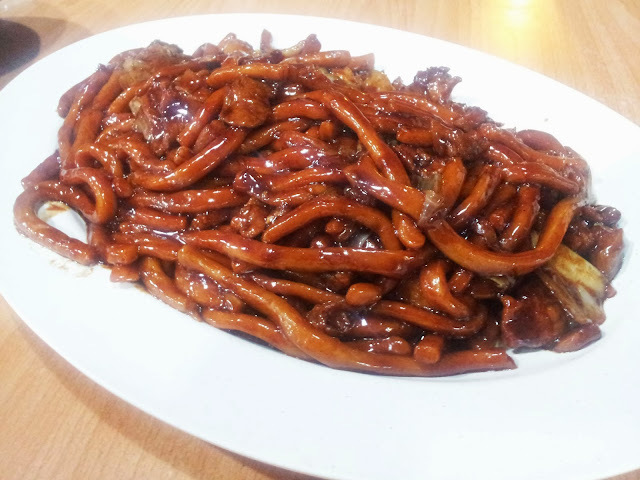 This has a richer flavour than Malaysia Boleh's, the gravy is thick and melts lusciously with the chewy udon-looking noodles. And... what are these mantous doing here? Of course, it's to pair with the star dish of the night! I really love the fact that these crabs are extremely full of flesh in their pincers and the carapace. 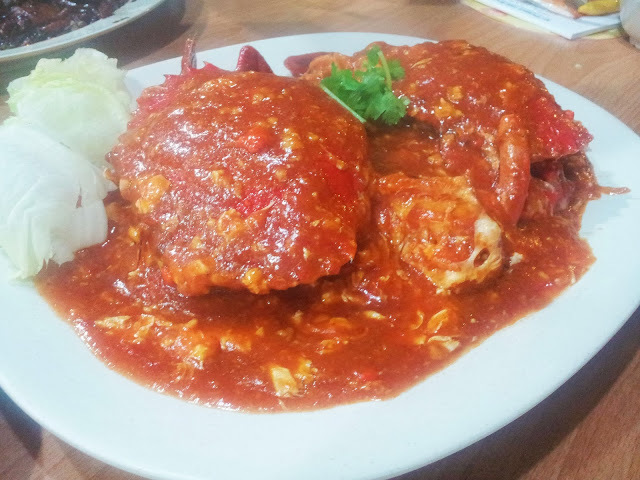 I could actually tear actual crab meat from it multiple times (unglam but in the name of good food, who really cares! ;)) and it is so sweet and delicious! 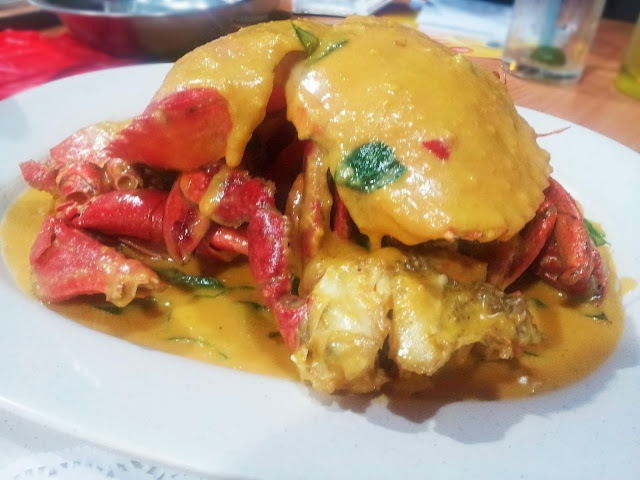 Between these two crabs, I would prefer the salted egg yolk crab because it is much creamier and the sauce (relatively only) didn't drown the original flavour of the crabs itself. 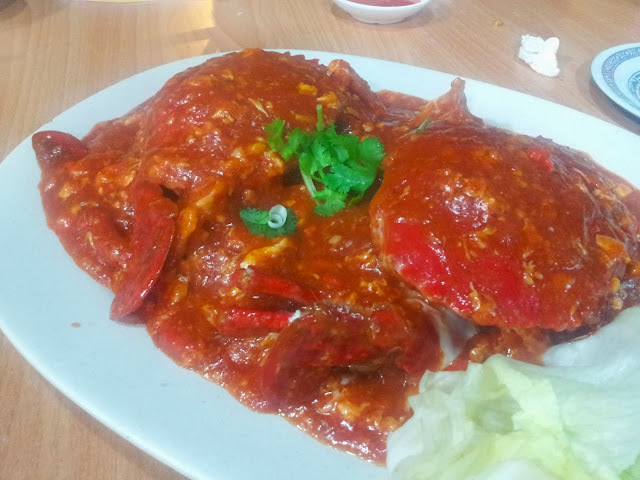 So I would recommend the Salted Egg Yolk Crabs! 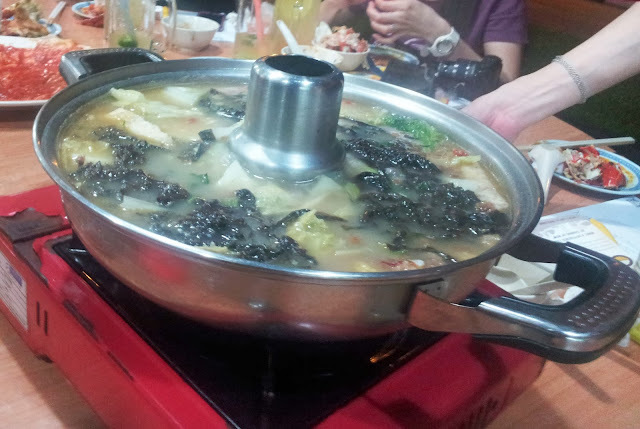 The sauce is similar to the frog leg claypot porridge sort of sauce but it's crocodile meat! It tastes somewhat like frog leg but much less tender. 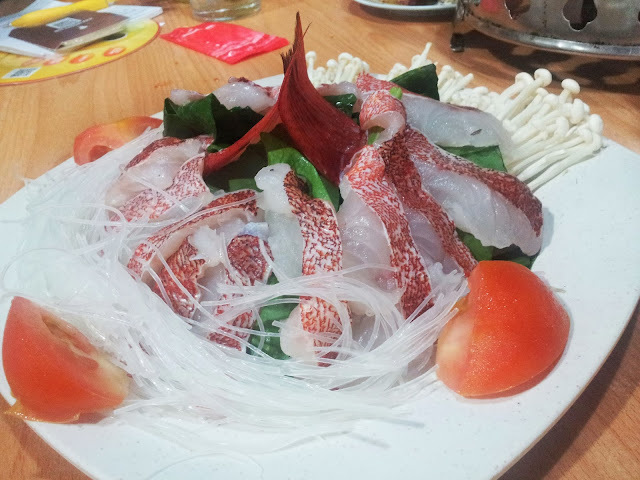 Very interesting and in case you are looking for some crocodile meat to enjoy, you know where now - Jin Sha Wan!